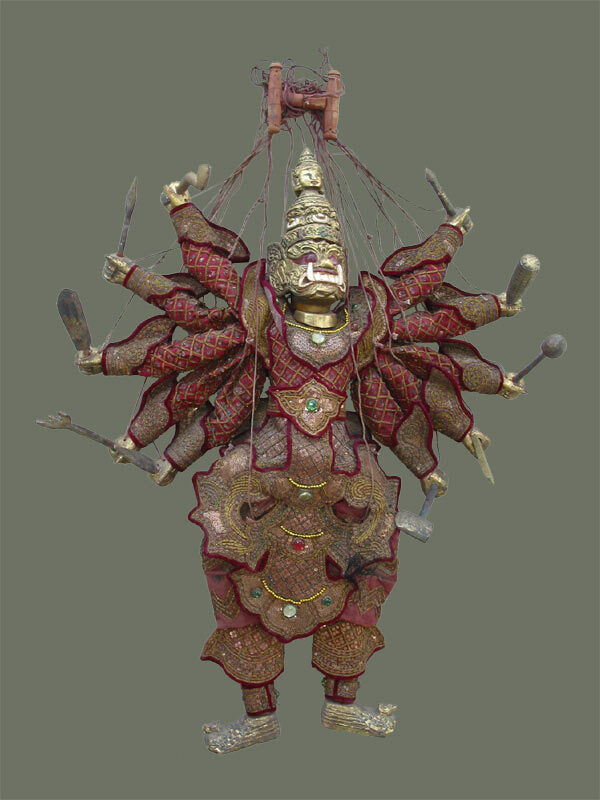 No, we're not talking about politics here... this is the subject of a new collection of Burmese marionettes just posted: mostly ogres or otherworldly figures from mythology. Beautifully crafted, with rich detail and traditional designs of both costume and figure, they are fairly large in size and commanding in presence. Their demeanor is rather benign considering their demonic reputations, giving them a certain charm.